HOW DO FLYING SQUIRRELS GET INTO ATTICS? HOW CAN YOU TELL IF YOU HAVE FLYING SQUIRRELS IN YOUR ATTIC? WHAT’S THE BEST WAY TO CONTROL FLYING SQUIRRELS? WHAT IF YOU CAN’T GET TO WHERE THE FLYING SQUIRRELS ARE ACTIVE? 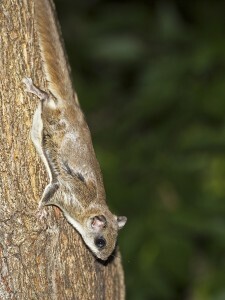 Flying squirrels are divided into two species – the Northern and the Southern. The line dividing the two is somewhere in the northern part of the country around Pennsylvania and across to the Great Lake States. Above this line is where the Northern species resides – all through Canada – and then back down again into California an several other northwestern states. Ever seen one? If not, view this short video that shows one clearly. Although most flying squirrels are welcomed in parks and around the yard, they are a pest once inside your home. 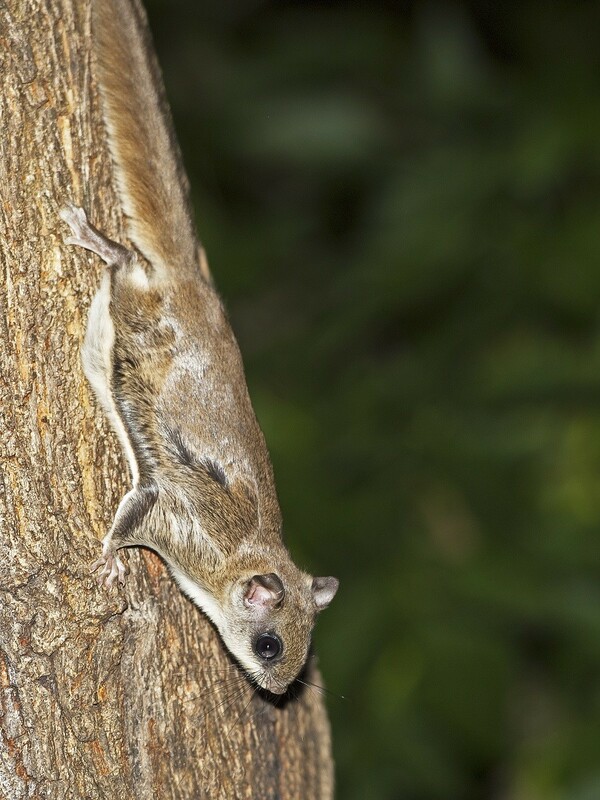 As wooded lots are cleared, flying squirrels are displaced from their natural habitat and forced to find new homes. If conditions are right, they will move into attics, eaves and soffits of any structure. Once inside the structure, they will cause damage to insulation, rafters and electric wires. The same thing is happening with flying squirrels. Flying squirrels are much smaller than tree squirrels and most people have never seen one in the wild. They are nocturnal. They’re also agile and can enter a structure through the smallest crack or hole. Once inside a structure, they too can cause damage to insulation, wood and electric wires. In fact, this problem has caused most insurance companies to add disclaimers about fires caused by flying squirrels. In general, they will not pay on damage caused by flying squirrels. This includes damage to the home as well as fires which are started by the chewing animals! This disclaimer is written into every homeowner insurance policy the author has seen in recent years. If your policy does not cover damages due to rodents, don’t take an infestation lightly! Be careful of bird feeders. People love to watch birds and a properly placed bird feeder adds so much to any landscape. But it also calls the local squirrels to your property. Over time these squirrels will learn where the food is coming from and soon they will want to move into your home. Well it turns out that flying squirrels will behave in the same way. The only difference is they are active at night so you do not know anything is happening. We’re not saying you can’t keep bird feeders in the yard; we’re just saying that if you do, the odds go up that will attract gray squirrels, rats and flying squirrels which puts you in jeopardy of having them get into your home. Make sure you cut away all tree branches and tall shrubs hanging close or over your buildings. Any tree, bush or shrub too close to your building is a route of entry and needs to be cut back. Small shrubs and bushes are not bad but tree limbs which hang over or within twenty feet of your roof is a definite route of entry. Flying squirrels will use this route as a way to get onto your roof. Once on the roof these rodents will discover a way into your attic. Flying squirrels require very little space to gain access to attics. Their bodies are constructed with soft, cartilage like bones which are soft and pliable. This means they can easily push through holes as small as a quarter. For this reason most any home will have access points around fascia boards where gutters mount. Typically there is a gap above the fascia board and the asphalt shingles above and this space will be more than enough to let them inside. To help keep them from entering, install gutter guards and make sure they can’t enter by climbing up behind the gutter. In some cases installing a thin 1″ wide strip behind the gutter is the easy fix. These strips can be made of wood or plastic and are generally easy to install. Once in place, they can help. Remember too that flying squirrels can reach this area by “flying” from trees which are over 100 feet away. So even if you remove direct pathways like low lying tree limbs, they won’t move elsewhere until their entry ports have been properly sealed. Once inside your structure, flying squirrels will make a lot of noise. These noises may be in the attic or walls. Try to inspect the areas where you hear the sound. In general, you’ll need to first identify the intruder before take action. If the noise occurs at night, the animal is probably nocturnal. Flying squirrels make a lot of noise and you will hear them anytime between sunset and sunrise. Flying squirrels will also avoid people at all costs. They will burrow into insulation and generally do not want you to see them so there is no need to be afraid of them. Another good clue will be if you find their droppings. Tree squirrels (common gray squirrels) and roof rats will leave droppings anywhere; flying squirrels have a designated place where these droppings will accumulate. If you are finding droppings all over the attic but you only hear noise during the night, you most like have mice or roof rats. Conversely, if you hear noise during the day and are finding droppings everywhere, you probably have a gray squirrel active in the space. Once the animal is properly identified, it needs to be removed. Don’t waste your time with glueboards or snap traps. You may get lucky and catch one or two with such a device, but flying squirrels don’t forage much so its hard to get them onto these devices. Furthermore, once surviving flyers see their friends and family trapped or killed, they will quickly learn to ignore the offering. Also, there is no type of rodenticide labeled for flying squirrels and even if there was, you’d be risking all kinds of related problems from squirrels that ingest the bait. There are three ways to control an active flying squirrel problem. The first way is to use a live trap; the second is a kill trap. The third way is to repel them out of the attic using ultra sound. 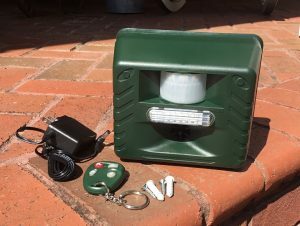 Both live trapping and kill trapping are 100% effective; using ultra sound only will mean you generally need to keep the unit active and on to keep animals from returning but it can do the job. Kill trapping eliminates the need of having to relocate the animal which saves time; live trapping is more humane but means you will have to take the squirrel at least 10 miles away to insure it won’t return. In some cases, Ultra Sound may be your only option since it can reach up to 75 feet away making it well suited for problems that cannot be reached in open attics. But again, you will need to keep the unit operating most of the year for continuous control compared to removing the animals which trapping will effectively do. Since flying squirrels don’t naturally want to forage far once they enter your attic, its important to use the right lure to make your trap sets effective. We have learned the following three components will get the job done. The first key is trap placement. So to trap flying squirrels, you must place the trap where they are active. This will be where you see their droppings or where you see tunnels and burrows throughout the insulation. The best bait for any trap is our TRAPPERS CHOICE PECAN PASTE and MIXED BIRD SEED scattered lightly around the traps entrance and then a more concentrated amount in the back of the trap. Use both a teaspoon of Trappers Choice Pecan placed on the trip pan of the trap and at least 8 ounces of sunflower seeds to insure a quick catch. Furthermore, if they are active in trey ceiling areas or other “tight” spots in your attic, getting your trap close enough for successful catches could prove hard to do. The 2 oz jar is enough for 8-12 sets; the 8 oz for 30-40 sets. 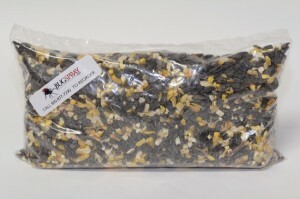 Any mixed bird seed will work; our bags are enough for 3-4 sets. Since flying squirrels don’t like foraging around in attics, it can sometimes be a challenge to get your trap close enough to where they are nesting or most active. If this is the case in your attic, the use NITE FLYER could help. This oil based attractant works as a “trailing” scent and is used by placing 1 drop every 1-2 feet leading from where the flying squirrels are most active to where the trap is being set. Nite Flyer was designed for flying squirrels to help get them to find live trap sets that much faster. There is no need to over apply it so limit amounts to one drop at a time. However, the further back into hidden and inaccessible areas you can get some applied, the better “trail” you will create. Ultimately, this will allow you to trap unwanted animals that much faster and is particularly helpful for any nocturnal animal like flying squirrels. Place one drop every foot from their nest site to your trap entrance. Now that you have a good idea of where you need to place your trap and you know what type of lure to use in it, let’s discuss trap options. There are plenty of live traps available on the market today but many are not good quality or designed to “keep what they catch”. Flying squirrels can fit through the tiniest of spaces and will easily escape from a 1″ by 1″ hole. For this reason, you must employ a trap with wire spacing that does not exceed 1/2″ x 1″ if flying squirrels are your main target. To ensure success, go with the professional grade LT5518 or LT5518RD model. These measure 5″ by 5″ for their entry and 18″ long. These traps utilize a heavy gauge 1/2″ by 1″ wire that will last many years and can easily handle other animals like rats, chipmunks and gray squirrels too. The standard LT5518 will do a fine job but the LT5518RD features a sliding rear door that makes trap sets and animal release super easy. When dealing with big flying squirrel problems, the use of a multi catch trap help can save time. Known as “repeaters”, these traps can hold several squirrels at one time. They feature one way doors with two holding areas. Animals enter the first door and cannot escape. Typically they’ll forage around in this holding area until they find the second door which opens to the second holding area. Once they enter the rear section of the trap, there is no way to escape. These traps are made with the same 1/2″ by 1″ wire used for the LT5518 traps above which means they’ll work well for flying squirrels. 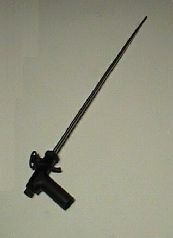 The 3.5×3.5×24 REPEATER is the preferred size and can hold 3-5 adult squirrels no problem. It features a rear sliding door too that makes animal release easy once caught. This is a true professional trap made of high quality components and will last a long time. As the name implies, these unique traps are for special applications where you need to both exclude and catch nuisance animals. 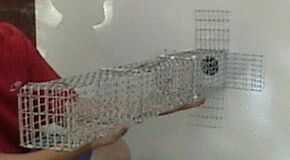 Designed to be set directly over the entry holes target flying squirrels are using, these traps will funnel exiting animals into a three sectioned compartment. You can only employ this trap if you know the location of entry holes and then only if this location will allow you to get the trap properly mounted. Made of 1/2″ by 1″ wire, they will hold flying squirrels. The 3.5×3.5×31 RE-EX uses the same wire as the traps above and can withstand any weathering from being used outside. What’s great about these traps is that target animals are both excluded and caught by the same device. This means you’ll know for sure when all the animals inside have been caught. Furthermore, you won’t have to worry about any coming back inside – the trap serves as a “cap” over the hole when in place. Remember, this design is only designed to be used over entry holes and it’s important to get one installed over each hole being used. Here are a few tips for successful trapping. Do not inspect the traps more than once a day unless you know something has been caught. Flying squirrels are great observers and if you are seen in their attic space over and over, you will spook them into being very wary of this new device which is suddenly available in their territory and attracting attention from humans. Be sure to use a teaspoon of our TRAPPERS CHOICE PECAN PASTE. This blend of nuts and oils has an aroma which will last for days. Place a tablespoon on the trip pan of your trap and smear it over the pan evenly. Next, add MIXED BIRD SEED behind the trip pan as a visual aid. 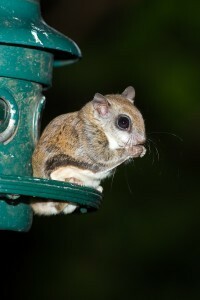 When flying squirrels make their way to the trap they expect to see a lot of seed due to the strong smell. Remember, the seed is the effective “payoff” so you need to use a lot to get them inside. In other words, 5 or 10 seeds behind the trip pan will not be enough; their must be a pot of gold waiting for them to make trap entry worth the risk. Place most of the bait behind the trip pan, but be sure to place some seeds in front of the trap and leading in the door. This will allow them to follow the “trail” and find the entrance which can sometimes be missed. And be sure to use TRAILING SCENT if the trap is more than 5 feet away from their nest site or dropping spot. When using these traps where you suspect there is more than one animal active, use two bait placements. Do this by placing the recommended amount of seed behind the trip pan but then add 1/4 of that amount in front of the trip pan. This bait placement will enable you to lure more than one animal in at a time since the first one that enters will stop to feed on the front placement and subsequent animals entering while the first animal is feeding will move to the back of the trap causing it to trip. If relocating trapped animals, make sure to take them at least 10 miles away. The author has had flying squirrels return up to 7 miles and expects they can find their way back further if given the chance. To prevent this from happening, do not let them go closer than 10 miles from where you caught them. And be sure you measure this distance in a straight line over air – not how far you drive. Flying squirrels need to be trapped in the attic. Look for areas in the insulation where you can see a lot of activity. Such areas will have tunnels and nests which look like piles. Since flying squirrels prefer to leave their droppings in one main area, this is a great place to trap them. Chimney areas are a common place for such activity as are voids behind trey ceilings. These areas can be hard to reach but can prove critical for your success! Wait at least a two weeks (without hearing any sound) before you close entry holes you suspect are allowing the animals to get inside. If you close the holes too soon, the trapped animal may react violently and at least will certainly chew another hole. Established flying squirrels consider your home their home and if you close any holes you will only force them to chew it back open or create new holes. Routes of entry allow you to know where to make successful trap sets so use them to your advantage. Though the use of kill traps seem inhumane and mean, many professionals use these devices for quick control of an ongoing flying squirrel problem and you can use these methods too. The use of such devices will help reduce the amount of time needed to control large populations since you won’t be driving elsewhere to relocate trapped animals. When kill trapping, there are two primary devices. 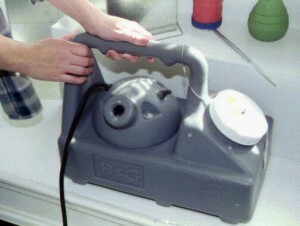 The most traditional is the BODYGRIP 55 which is a body crushing type trap. These traps have been around for many years and are readily used by animal wildlife control officers as well as fur trappers. These traps work by crushing the target animal on it’s head or body leading to a instant and painless kill. Trap placement is critical and in general, must be made at the entrance/exit hole using a WINDOW MOUNT. Each trap measures 3.5″ by 4″ and you’ll need one trap per hole. To make the set, use a window mount. Watch the video on our product page to learn how to make the set using this trap holder. The most effective set for a body grip trap is just outside the entrance/exit hole leading into the structure. If you know where the animals are entering, simply place the trap outside the hole. The best set will have the dog (part of the trap) and trigger on the top of the trap and still have enough play so as to not restrict the trap when collapsing. To create space, you may need to mount the trap on a small piece of 2×4 or some other piece of wood. The big advantage of using this trap is that flying squirrels will readily move through it as if it wasn’t even there. A quick reset of the trap means you now are ready for any more animals still active. This type of set can be used over air vents, around chimneys, over gable vents and even dryer vents. 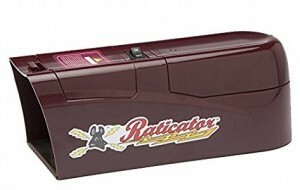 For attic spaces, an ELECTRIC ZAPPER is a fast and efficient way to kill small animals like flying squirrels. Originally designed for mice and rats, these devices are now built with enough power to kill gray squirrels and work well on flyers too. Powered by batteries, you can set them up in places where live traps would be deployed in attic spaces. Just be sure to bait them with the PECAN PASTE and MIXED BIRD SEED listed above. And if you have to place them more than 5 feet from a known nest site, use some TRAILING SCENT too. In general, its always best to remove nesting animals from your home. But if they are situated behind a trey ceiling or in some remote space hard to reach, installing ULTRA SOUND DEVICES can be an effective at chasing them away. These units release a strong ultra sound frequency by default and this sound is irritating to flying squirrels. Our unit also uses a light bar LED that will flash off and on. This bothers them too. Lastly, if you can set the unit to within 20 feet of where they’re known to be active, you can set them to activate via motion and include an audible sound known to frighten flyers too. Our unit has many features making it extremely effective on flying squirrels. First, it can be set to operate at night only. Second, it comes with an AC power supply so you can power it by electricity. This is the “best” solution when deploying units in attic spaces. Running them around the clock in ultra sound mode will keep all animals away. But they can also be powered by 4 “c” cell batteries and as long as you’re within 20 feet of the squirrels, they’ll set it off. These units can actually detect animals from further away but because flyers are so small, its best not to place them more than 20 feet away when relying on motion activation. Third, our unit comes with a wireless key remote allowing you to turn it on and “alarm” any time you hear a sound. This is very handy in case the squirrels are elsewhere out of the motion sensor range. Since the ultra sound will bother them for up to 5,000 sq/ft, one unit can protect the entire space. But again, this is only if you re willing to run it all the time via AC power or if you’re willing to manually turn it on when needed. If neither is possible, get several units and rely on their motion detector to activate them as needed. So for the attic, the best settings fly flying squirrels are to set the Operating Time to “24 Hr”, the Ultrasonic swith to “constant” which means the Motion Sensor Sensitivity is “N/A” since it will be always on. Lastly, if you can’t hear the audible sound, using it too will help your cause. Start by setting the Sonic Sound volume at “0-20” and if this is not a problem for people in living areas, you may try a higher setting. Lastly, the Frequency (yellow knob) should be almost all the way to the right. Plan on powering the unit using the included AC converter for these settings which ensure the LED light will be going off all the time too. If you cannot power them by electricity, set the Operating Time to “Night” and the Ultrasonic to “Motion”. Next, dial the Motion Sensor Sensitivity to “30”. Just remember, you will need to have them within 20 feet of where there is activity. And for the Sonic Sound, try it at a volume of “0-20” to start. The frequency (yellow knob) should be almost all the way to the right. Deploying 1-2 of these in most any attic will get quick results and can be helpful when dealing with a lingering, ongoing problem or if you need immediate relief. Since they only cost $.25-.50 a month to run, they will not cause the electric bill to spike. Once you know the flying squirrels are out of the attic or if you are not able to get them placed where needed in the attic, you can try using them outside. 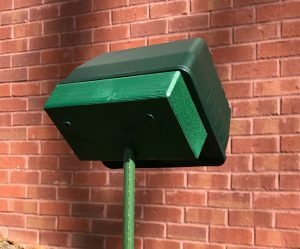 Our machines are water resistant and when set on the ground pointed up, they will effectively keep flying squirrels from landing on the home. However, you will need to run them all night long as the motion detector is not likely to detect them every time they move through the area. Plus, if they only have to hear the sound for a few seconds before safely getting into your attic, it won’t be heard from far enough away unless you run them all the time. But you can set them to run just at night and you can point them at the likely entry points. This will keep flyers way for sure. You’ll need to position units just outside the home pointing up at areas where flying squirrels are entering. Each unit is the size of an accent light fixture and can be set on the ground angled up. By blanketing every side of your home with sound, you can effectively make it very uncomfortable for them to come around your home. Flying squirrels are particularly sensitive to these devices and cannot tolerate the sound at all. They come with AC power converters and will need to be turned to their “always on” setting when set outside. But since flying squirrels are only active when its dark, run them from 4:00 PM until 7:00 AM on a timer and you’ll have plenty of protection in place. So for use outside, the best settings for the Operating Time to be switched to “Night” and the Ultrasonic to “constant”. This means the Motion Sensor Sensitivity is “N/A” since it will be always on and the Sonic Sound volume at “0” so you will be relying on the ultra sound only. The Frequency (yellow knob) should be almost all the way to the right and the units should be pointed at known points of entry which is generally up toward the gutters, soffits and attic vents of the home. 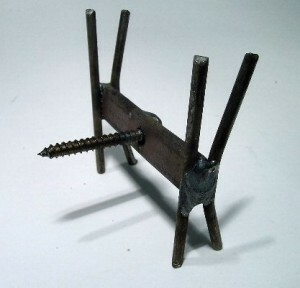 For easy installation, MOUNTING BLOCKS are handy. They can accept 1 repellers (picture to the right) and have a 1/2″ hole on their bottom so they will easily fit over a 1/2″ piece of rebar or any other wood or plastic stake. Once in place, the Ultra Sound Repellers will be pointed up toward the roof of your home where flying squirrels are likely to enter. We highly recommend getting the Units with Mounting Blocks for proper installations. Mounting Blocks allow you to place units anywhere and they will save time too. Once the nesting animals have been removed or repelled using sound devices, you can move forward to protect your home from further invasions by sealing up entry holes. And though the use of wood and other building supplies may be needed to do closure, COPPER WOOL is very easy to use and works great for a quick fix of gaps and entry points. It’s easy to work with and can be stuffed into openings without a lot of effort. It won’t rust or break down for a long time and is extremely effective when you need to seal a lot of small openings which surround the average attic. Packed in 50 foot rolls, use this to seal the gap behind gutters, under roof shingles where they overhang or gaps where the chimney attaches to the home. It can also be used where conduit or wiring pass through the homes exterior so use it to seal holes from the ground level up to the roof. To get the most permanent seal possible, seal up the Copper Wools with BLACK FOAM is also recommended. This product expands when applied and will permanently seal most any gap, crack or void making it near to impossible for small animals to enter. Pur foam comes in two sizes. The small can comes with an attached injecting hose and is well suited for a gap 3/8″ wide up to 1,000 linear feet. But for bigger gaps and jobs, get the larger can which can fill 1500+ linear feet and is easier to apply using a foam gun (listed below). So for the large can of foam, get either the PUR STANDARD GUN or PUR 24″ GUN. These professional tools work like a caulking gun but are easier to use since they rely on the aerosol of the foam can to push out the sealant. 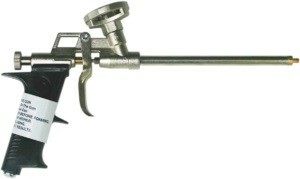 For longer reach, get the 24″ Foam Gun. In general, flying squirrels don’t like to gnaw their way into attic spaces but if you discover a lot of chewed wood on your home, you’ll be better served using the PUR FOAM W/REPELLENT cartridge. This formulation will expand more and includes a strong bad tasting “pepper” ingredient providing extra protection – especially from chewing and gnawing animals. Lastly, which ever cartridge you get, you’ll need some GUN CLEANER to keep the gun free from clogs by using it in the gun before putting it up in storage. Since flying squirrels rely on scent to mark good nest sites, once your home gets activity it will be “marked” as a good place to live for years to come. Females that have been in your home will leave a strong scent that will attract males for acres long after the active animals are removed. Furthermore, territorial scents are always being tested so foraging flying squirrels will look to encounter their neighbors whether they’re still in the attic or not. And if the squirrel living in your home is suddenly missing from the neighborhood activity, other flying squirrels will start to investigate the vacated territory either looking for a place to live or to find the lost squirrel. Either way, this type of activity will show you just how many routes of entry there are into your home and give you some idea as to how much work it will entail to do the exclusion job. This is the exact reason why professional trappers command a premium price when sealing homes from flying squirrel entry. Most companies don’t really do a complete job; they tend to deal with the immediate problem or route of entry which they should be able to seal properly. However, the problem is generally much more complex requiring extensive work and repairs. Don’t expect to get much done for $100.00 to $200.00. One company the author deals with charges an average of $1,000.00 to $1,200.00 per job but they do include a lifetime warranty. Needless to say, it’s well worth every penny. Now if you’re not prepared to spend that kind of money for closing some holes but are willing to eliminate the scent and odor left by active flying squirrels, get some NNZ and spray the homes attic and exterior with a mixed solution to neutralize these scents. 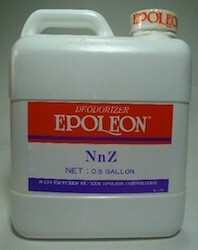 NNz will completely remove all animal scent including feces, urine, pheromones and more. Mix 8 oz per gallon of water and spray up to 800 sq/ft per gallon of mixed spray. NNz works instantly and treatments are permanent so as long as no new animals come into the area, there won’t be any new odor. NNz can be applied with any standard PUMP SPRAYER and for use around the homes exterior, a pump sprayer will usually work well. Just remember you need to get material on all surfaces used for it to work. Since spraying attics with a liquid can pose a problem if it leaks down to the living space, renting a FOGGING MACHINE from us will enable you to do a much more thorough job without making a mess. This machine will pump out 10 oz of product per minute and will propel the mixture a good 20-25 feet out so you don’t have to move around much to get the job done. Rentals will effectively cost you $50.00 for two weeks; you actually pay for the machine initially but get a refund when its arrives back to our warehouse. I have now seen 3 flying squirrels in my house. The first I found munching in our dog food bowl and was successful in getting it out of the house. Several days later, I found a dead one in the laundry in the basement. It has been several weeks and we just noticed that one was on the trim of the window in our living room. While trying to catch it, it ran into a small opening in the fireplace and traveled up the chimney. We are pretty confident that the chimney is the entry point. Our house is an A-frame so we do not have an attic. Help! I dont know what I should do, if there are more in the house, how to deal with this. We live in the country also. No doubt homes located in the woods are prone to having flying squirrels. These animals need a place for shelter and though nature typically has plenty of good nesting locations for flying squirrels, the average manmade home will have a lot more. And once a home is discovered by flying squirrels and “marked” with their pheromones, it will attract more and more animals over time. My guess is you currently have several using your home and this number will only increase over time unless you take a pro active stance to control the problem. Now since you don’t have easy to access voids for setting live traps, you’ll be somewhat limited in how to control the problem. But there are a couple of things you can do. And one of the best ways to keep them off the home right now will be to install 2-3 Ultra Sound devices. The model best suited for your need will be the Yard Gard. You’ll need to set at least 2 and they’ll need to be placed on the outside of the home in a position that will be pointing toward where you believe the flying squirrels are entering. By blanketing these areas with ultra sound, you should be able to make the area uninhabitable by flying squirrels and in doing so, cause them to seek shelter elsewhere. Flying squirrels are very sensitive in general and they most definitely do not like ultra sound so they’ll avoid it big time. My guess is the main entry point is around your chimney and if you wanted to get just one unit and focus it on this area, you might resolve the problem. But flying squirrels will usually have at least 2 ways in and out of any home so in the end, one unit may not be enough. It’s a 50-50 chance unless you can find another location they’re using and if you do, make sure you get this second area protected as well. In the end, blanketing as many sides of the home where the roof line meets the sides of the structure will provide the most protection since these are the most common places where these little guys like to enter. Yard Gards are designed to be used outside and the best way to use them will be with the included AC power supply. I recommend you power them on every evening an hour before dark and keep them running all night long until the following morning. And once the sun is up 1-2 hours, you can power them down. Additionally, you’ll want to set the units to “always on”. They have a “slider switch” for their three settings (off, motion detector on, always on) and you’ll want the “always on” setting for sure. I also recommend you have an easy way to turn them on and off. Ideally setting their power line on some kind of a timer is best because you can set it and forget it. But if you have to manually plug in an extension cord every evening and then unplug it every morning; that will work too. As for results; I would expect that if you set up enough units to blanket all routes of entry now, you’ll be able to get rid of the flying squirrels currently active within a few days. And once they’re gone, as long as you run the units they won’t return. I would recommend you run them the rest of the winter all the way to spring. Eventually flying squirrels won’t want to reside in your home as spring turns to summer and once summer arrives, you probably won’t have any activity inside. But as fall turns to winter, I would say to start using them again if you want to avoid the same problem next winter. Now the second way to prevent future infestations will be to exclude them from the home. This can be done once they leave for the summer. Basically this is what we would call a “mechanical” way to keep them out and will involve covering up all routes of entry that might be found around the homes roof line, chimney, facia boards, etc. Flying squirrels can enter through the smallest of cracks so trying to seal all entry points is usually a challenge. But with the use of some netting or screening, you can no doubt cover up any such location and keep them from getting in. Now it’s important to understand that you DO NOT want to try excluding them now. This should only be attempted once you know they’re gone for the summer. Since it’s still cold out and your home is effectively their home, they’ll do whatever they can to get back inside should you close their entrance/exit holes any time soon. For this reason it’s best to wait till their gone before exclusion work is done. If you have questions on how to best configure Yard Gards to protect your home, give us a call. Our toll free is 1-800-877-7290. Be sure to review the product by clicking the link above. We have a short video which demonstrates the unit so you can learn how it works before you call. Good luck!